Jessica, please tell us more about the food in Hainan. 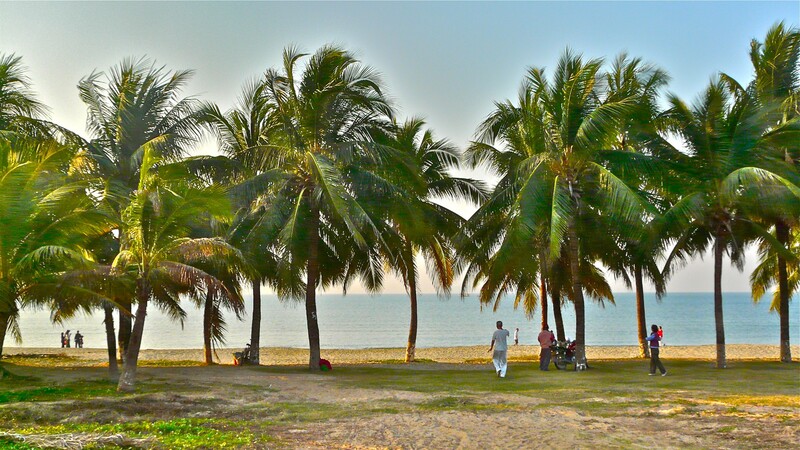 How much do you know about Hainan? Well, it’s a good question. Hainan is an island… yes, I certainly know that. Hainan is in the south of China. Not that far from Hong Kong and Guangdong province. but also a province in China. Yes, it’s in the south. The weather is basically tropical. It rains a lot here, especially in the summer. But we have a lot of tropical fruits. So, there are upsides and downsides of living here. 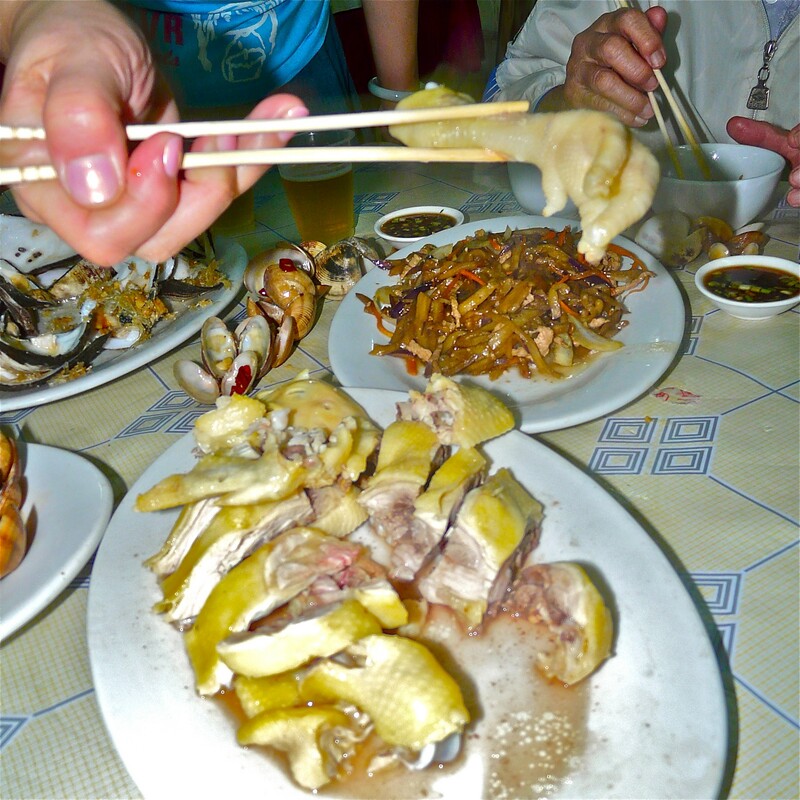 OK… let’s talk about food in Hainan. has it’s own variety of food. Ha…ha… you will learn it soon. I actually never had a chance to try any of those. the places in Hainan, right? 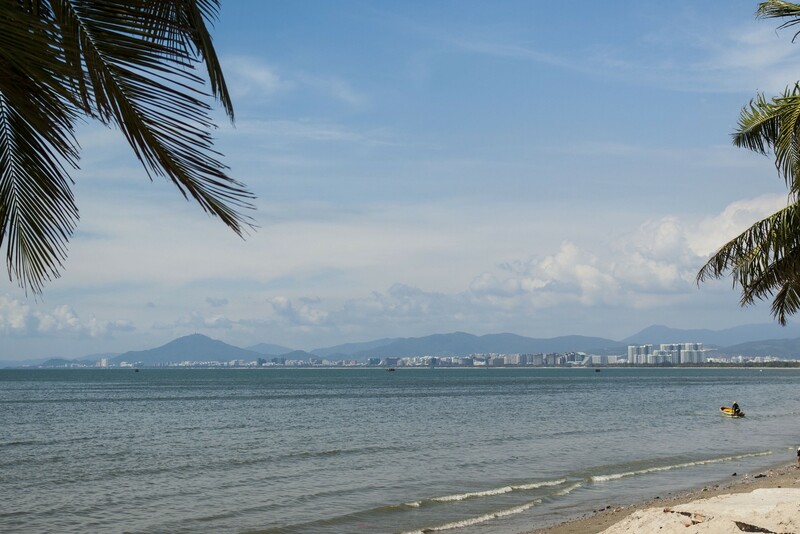 It’s a city and a district in the northeast of Hainan. 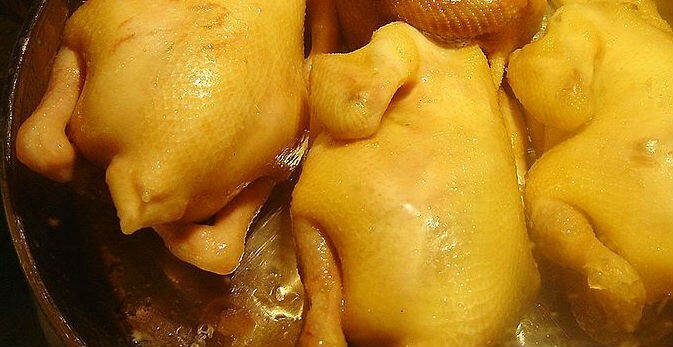 This is where the Wenchang chicken comes from. the place in the eastern part of the island. Yes… Hele is in the east too. Right? That’s right. How did you guess? People mostly live in the eastern part of Hainan. The west is pretty much… the mountains. and Sanya in the south. And people live mostly on the East coast. And the way it’s cooked. They put chicken in almost boiling water. so that the meat remains soft. And do you eat it with sauces, right? They serve the chicken chopped into the small pieces. The sauce has ginger in it. with rice, of course, and veggies on the side. They use specially selected grains to raise the ducks. And there are even a few different ways of cooking this dish. Dongshan lamb is special too. And it is cooked in coconut milk. I am pretty sure it has some seafood dishes too. So, I guess… Hele crab is the most famous, right? The crab meat, plus a lot of ginger and garlic. it’s not just limited to four famous dishes. These are just the most famous ones. We have so many other dishes. 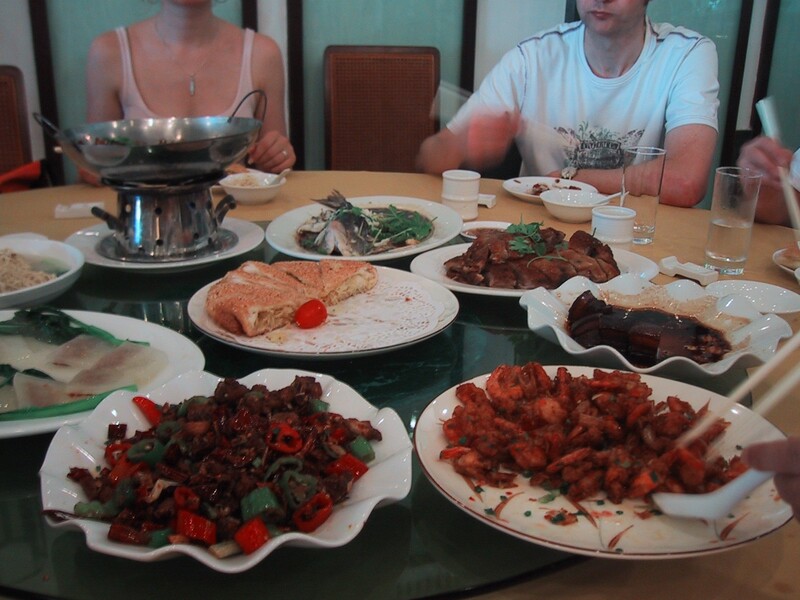 Hainan-style hot pots — there are so many different ones. 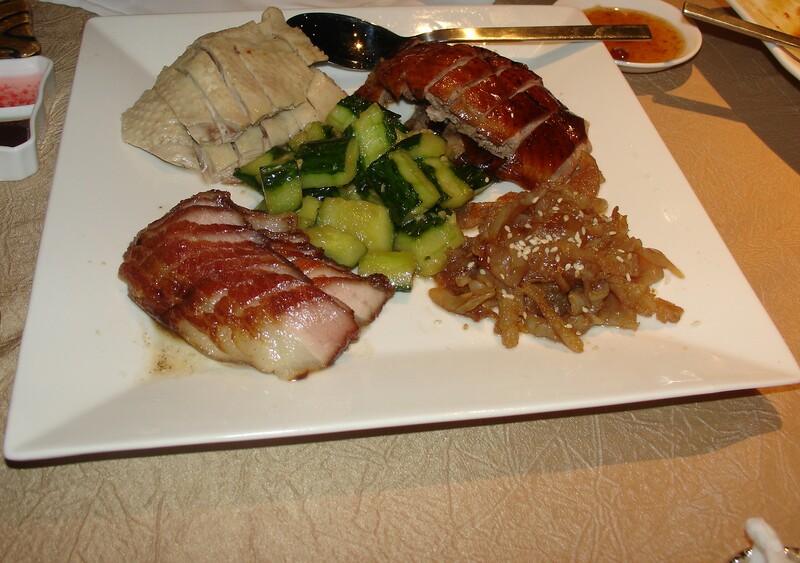 pork dishes, and goose, and lamb. And the seafood is really good. about fruits and drinks in Hainan. After all, it‘s a tropical island. There must be a lot of tropical fruits there. Yes, we have a lot of tasty fruits here.